My laptop and afternoon hazelnut. Random acts of kindness can be anything from feeding a stranger's parking meter to buying coffee for the person behind you in line. On social media, the hashtags of #RAK, #RAKE and similar allow you to follow the good deeds of strangers with nothing more than a click. Each story of dozens of do-gooders buying coffee for the person behind them pops up, I become more and more intrigued by the idea. A real, live person stopping their hustle and bustle to consider doing something nice for someone else. My challenge with the idea is that I have always viewed random acts of kindness as a chupacabra. I mean truly, random, unplanned events. Something I hear about, but never see. I have participated in planned random acts, which was amazing, but few split second decisions. My experience has been that when you try to give a stranger something for free, they are skeptical. In fact, they will look at you like you have lost your mind and walk away. We are trained as children to avoid freebies from strangers, which makes the random part key. People need to be taken by surprise before their brain kicks in if you want to give them something. 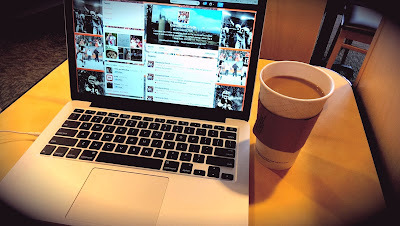 During our recent polar bear snap, I bundled up, cranked up my car and drove to my local coffee shop. Setting up my lap top and sipping my hazelnut, I noticed the only other people in the shop were people that *had* to be. Obviously, the staff, but also folks that were forced to do their job in the frigid weather - repairmen, police, etc. After seeing another cluster of Carhartt wearing people, I got the bright idea that I was going to buy coffee for the next people that came in. Walking up to the manager, I tried to figure out in my head how this would all work. I wanted to spend about ten bucks, which was enough for five coffees. That sounded like a good basis for good doing. Thankfully, she understood what I was trying to accomplish and rang up 5 coffees. She assured me that the coffees would be given away, which caused me to blink like a crazy person for a second. It never occurred to me that they wouldn't give them away. As I turned to walk away she explained to her staff that five coffees were bought to giveaway. I took a seat at a nearby table and I waited. I'm not entirely sure what I was waiting for, maybe a squeal of joy, maybe an idea sparked. And, I waited some more. I heard one grandma that was incredibly confused about a free coffee. I heard, "What? Why? Oh, ok...if you say so...why would someone do that?" No news reports. No hash tags. No happily filtered Instagram shots. I was a little disappointed, but that's ok. We do kind things for other people as much for ourselves as for them. No need to front here, it feels good to make other people happy. I readily admit to wanting more people to participate. Having Cleveland in the news for something other than serial killers/kidnappers and our tragic sports seasons would be a welcome change. Another part of me is completely irritated with the part that typed that last sentence. While it would be great for lots of people to keep the coffee train moving, it is just as fantastic for it to not. I hope someone was having a crummy day and a free coffee made the fact that their car wouldn't start, vanish for a second. There was no coffee shaming, no guilt to buy for no one standing behind them. I like that idea. Doing nice for a stranger, with zero expectation. 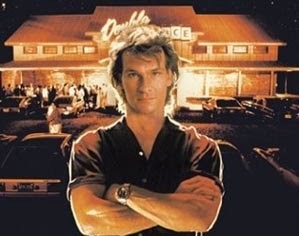 We all need to take the words of one Mr. Patrick Swayze in the classic, Road House to heart. Have you ever participated or received a random act of kindness?